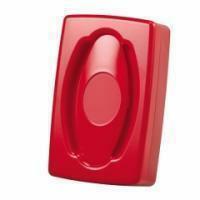 External fire siren alarm KS-F99 has a well-designed modern casing. Convenient for indicating emergency at entrance for any security system. Bright color design to attract attention.